Democrats are apparently spooked by a sudden drop in voter registrations in the key swing state of Colorado, with Democratic National Committee Chairman Tom Perez arguing that it is connected to President Trump’s investigation into electoral fraud in the 2016 election — and promising to fight back against it. According to the Denver Post, approximately 3,400 Colorado voters canceled their registrations after the Trump administration sought voter info from the states. The Post notes that the number is hardly enormous, representing only 0.09 percent of the state’s 3.7 million voters. Trump’s Presidential Advisory Commission on Election Integrity has asked states to hand over data from their voter rolls, reportedly including felony convictions, military status, and voter history. The move has seen pushback from a number of liberal states such as California, New York, Virginia, and Connecticut, as well as some red states such as Oklahoma and Kentucky. Officials told the Post that while one reason given by those withdrawing was a lack of trust in Trump’s commission, another was that they didn’t realize how much of their information was public under state law. However, even though that would suggest the withdrawals coincide with reporting about the commission rather than being directly caused by the commission, it hasn’t stopped the Democrats from hitting the panic button. McClatchy reports that the Democratic National Committee and the Colorado Democratic Party have launched an effort to persuade Democrats to stay on the voter rolls. “If you unregister, you are giving a victory to proponents of voter suppression,” Perez said in an interview with the outlet Friday, adding that they see this as the party’s new rally crying. 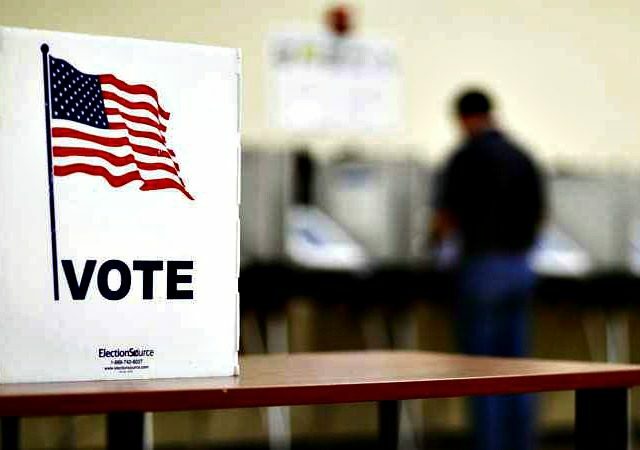 The red alert appears not to have filtered down to all Democratic officials, with others telling the outlet that they have not seen widespread examples of voters withdrawing their registrations in other states. Democrats have frequently jumped on any effort to crack down on possible illegal voting, or to clean up the voter rolls, and cried “voter suppression” even when such cries are baseless. Failed Democratic presidential candidate Hillary Clinton in May blamed voter suppression, particularly in Wisconsin, as part of her laundry list of reasons she lost the election. Trump has repeatedly claimed that he believes he would have won the popular vote if illegal votes were discounted. Democrats and left-leaning media outlets have accused Trump of making the claim without evidence — but are now opposing his administration’s investigation. “It’s truly extraordinary that they are trying to stop the commission from even beginning. These lawsuits are intended to stop the gathering of data and stop the meeting of the commission. It does make you think that some people out there don’t want us to see what amount of voter fraud there is,” said Kobach. He also discussed reports of people withdrawing from the voter rolls and posited a number of reasons why that could be. “It could be, actually, people who are not qualified to vote, perhaps someone who is a felon and is disqualified that way, or someone who is not a U.S. citizen saying, ‘I’m withdrawing my voter registration because I am not able to vote.’ It could be a political stunt – people who are trying to discredit the Commission and withdrawing temporarily because they are politically active but planning to get back on the voter rolls before the election next November,” he said.